Recently, I spoke for the sixth time at the M-PACT Show, which is the largest gathering place in the Midwest for energy and convenience industry leaders. It is one of my favorite places to present. This year’s presentation was called There’s a New Store in Town – Are You Ready for the Disruption? This was a brand new presentation and it covered a myriad of topics – with examples from both inside and outside the energy industry – from operations to merchandising to store design. One area that was prevalent throughout the entire speech was the notion of “Customer Experiences, not Transactions.” Rather than treating customer count as if it were a commodity transaction, focusing on the customer experience creates a bond with your customers that influences repeat occurrences. 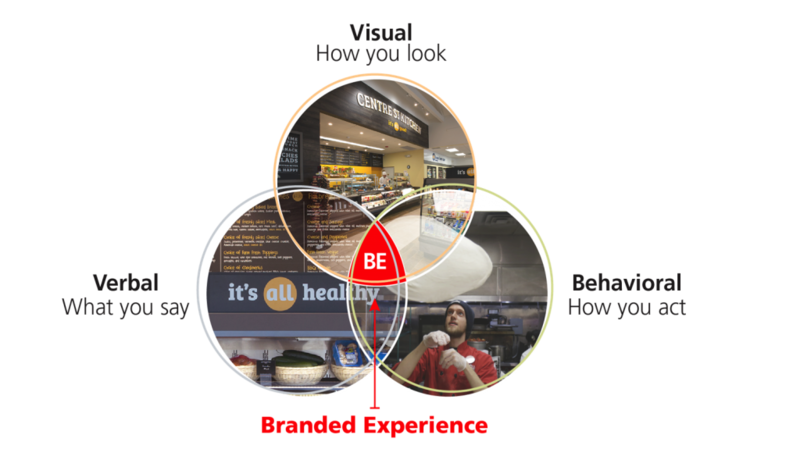 The customer experience stems from three components in order to be effective: Visual, behavioral and verbal. Visual: The “visual” addresses how your brand looks. Think about everything that your customers see when they enter your store. How does your brand communicate visually to your customers? Does your logo, signage and brand design communicate the attributes of your store? What about your uniforms – if your products are more casual in nature, do you uniforms project that image? Does your packaging design reflect the product mix? For instance, if your products are natural and organic, yet your packaging is Styrofoam, what type of message are you sending? Lastly, does your store have a signature offering – one that differentiates you from your competition – or are you a long line of stores with similar product assortment that dissuades customer loyalty? Behavioral: The “behavioral” is how you act in your store. I also like to think of this component as the engagement metric. Proactively engaging your customers helps to separate your store from the competition – provided that it is genuine. Greeting the customer as they enter your store in a competent, polite manner helps to not only convey your sincere appreciation for the customer but from an operations standpoint, engages the customer to purchase. Again, your interaction style should complement the product assortment in the store – a casual clothing line may mean a laid-back conversational approach where an electronics store may want to convey competence first and foremost. In either scenario there is no excuse for not knowing your product lines inside and out – after all, that is the main reason you are there – is to assist in purchases. Otherwise, the customer might as well shop online. Verbal: The “verbal” is what you say – this can be in-person or through your branding messaging. Similar to behavioral, how you greet the customer can set the tone for that entire customer experience in store. All too often, customers are treated as a commodity – almost a nuisance, “can’t they see I have paperwork to do?” – and basically are left to fend for themselves creating zero customer loyalty. The verbal also applies to your promotions and advertisements. Are your ads dry and factual or do you convey some sort of personality that reflects the experience in your store? This area gives you chance to create some distance between you and your competition. Overall: Creating effective customer experiences requires that the visual, behavioral and verbal all work in concert with one another delivering a point of competitive differentiation. To the customer, a gas station is a gas station; a sandwich shop is a sandwich shop, etc. It is up to the owners of these “commodity” type industries to tap into the essence of their brands and communicate all three of these attributes effectively together. Remember it is all about the experience as opposed to the one-time transaction. Summary: Sometimes you just need another set of eyes to evaluate where you stand today and how you want to project your store in the future. Utilizing outside services that specialize in this type of transformation makes this entire process much easier to execute. Today’s customer can be very fickle and they are constantly bombarded with commodity buying online. For your store to survive in the future, it is critical to employ a strategy that guides you to developing an overall customer experience, not simply the next transaction. John Matthews is the founder and president of Gray Cat Enterprises, Inc., a strategic planning, operations and interim general management firm that specializes in helping businesses grow in the restaurant, convenience and general retail industries. With more than 25 years of senior-level experience in retail and a speaker at retail-group events throughout the U.S., Matthews has recently written Game-Changing Strategies For Retailers, which is available on Amazon. In addition, he has two step-by-step manuals, Local Store Marketing Manual for Retailers and Grand Opening Manual for Retailers, which are available at www.graycatenterprises.com.